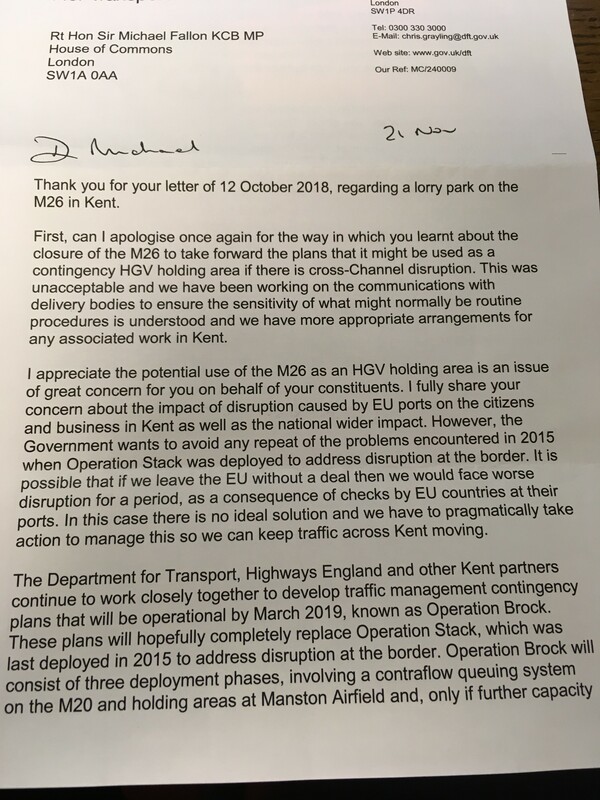 Sevenoaks MP Sir Michael Fallon has described the Transport Secretary’s response to his concerns over plans to turn the whole of the M26 into a lorry park in the event of a no deal Brexit as “completely unsatisfactory” and “not reassuring”. 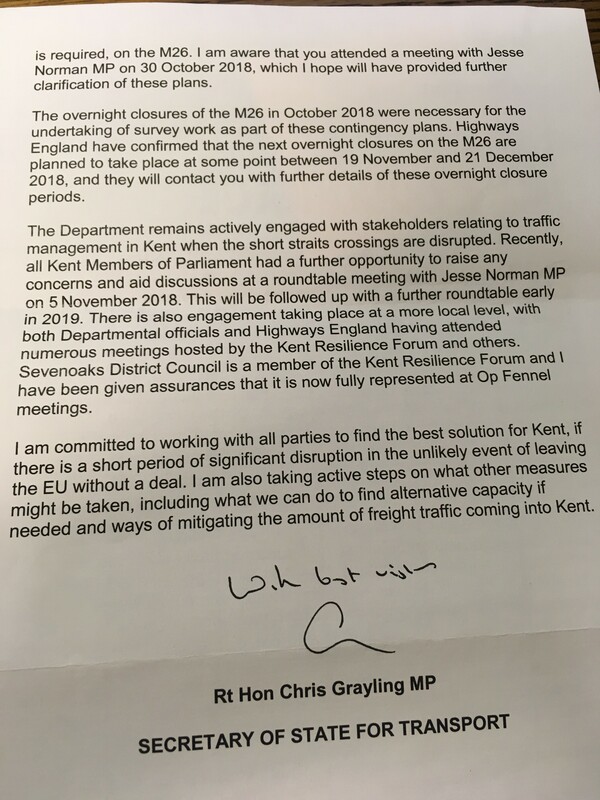 Sir Michael met recently both Chris Grayling and the Roads Minister Jesse Norman with the leaders of Sevenoaks District Council and Kent County Council to press for alternative options. The Department for Transport has apologised for not consulting the local community before closing the M26 overnight.